Carlton County (pop. 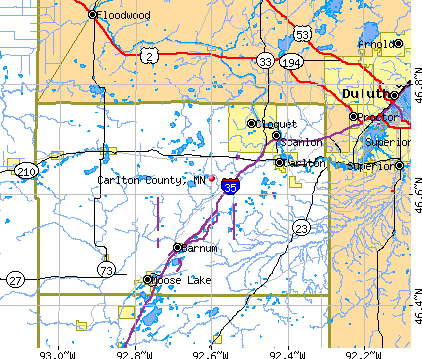 35,386), east of Aitkin County, is just a few miles from Duluth and Lake Superior, and is officially in the Duluth-Superior Metropolitan Statistical Area (pop. 279,771). The city of Carlton is the third-smallest county seat in Minnesota, with a population of 862. Five miles north of Carlton is Cloquet (pop. 12,124), the largest city in the county. 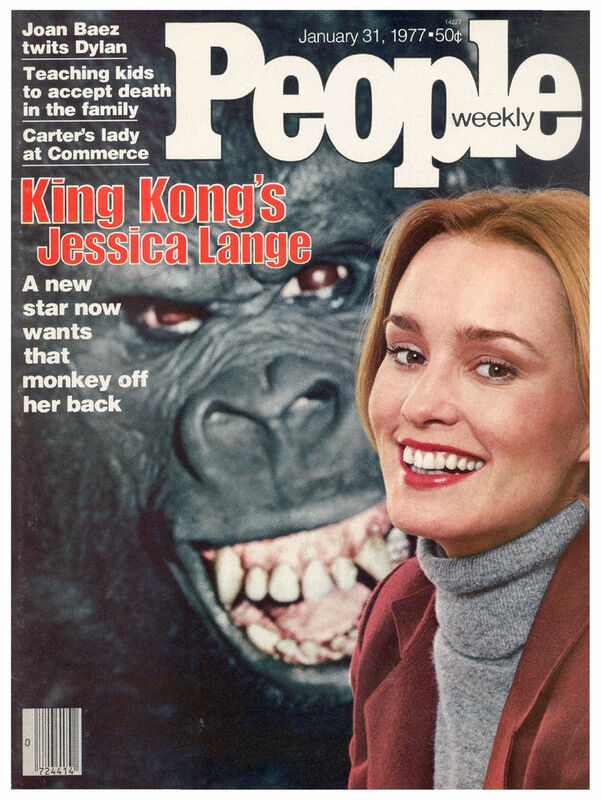 The actress Jessica Lange (at right) is a native of Cloquet. 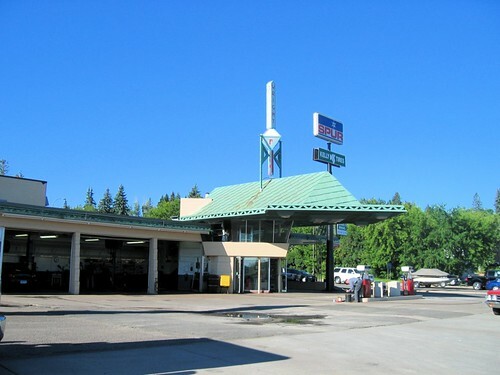 Cloquet is also famous for the only gas station designed by Frank Lloyd Wright. 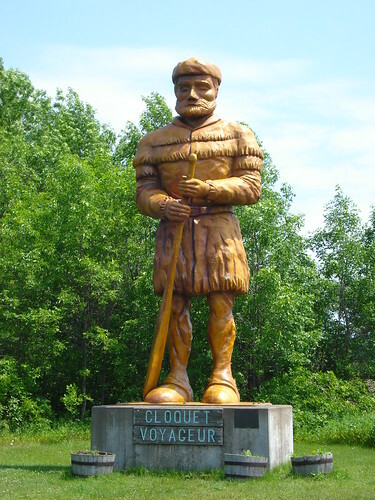 Cloquet has a 20-foot statue of a Voyageur, erected in 1976. 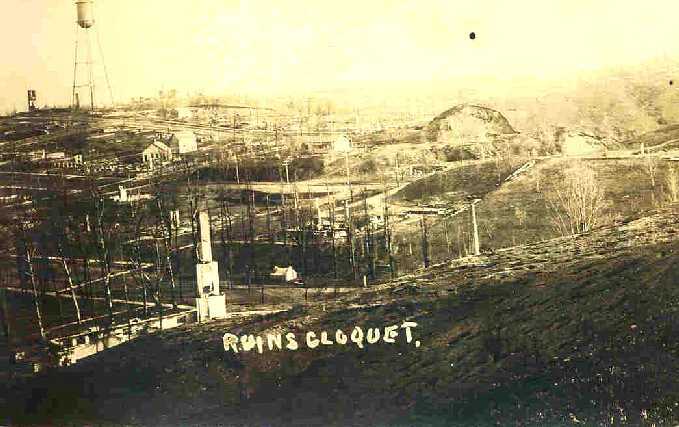 Cloquet was the center of a massive forest fire in October 1918. The fire killed almost 500 people and burned 250,000 acres. About 38 communities were destroyed. The town of Moose Lake (pop. 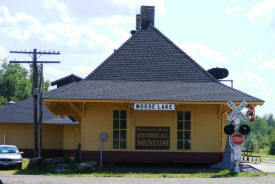 2,751) has a museum about the fire in its former Soo Line depot (1907). The depot survived the fire. Annual festivals in Carlton County include Wrong Days in Wright in the town of Wright (pop. 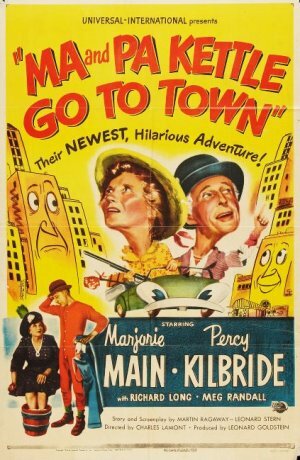 127) and Ma and Pa Kettle Days in Kettle River (pop. 180). 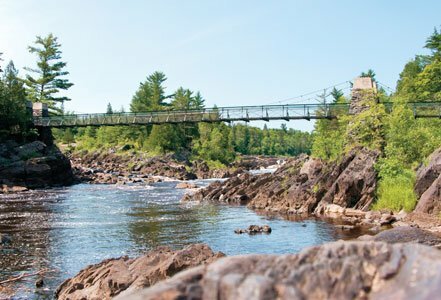 Jay Cooke State Park, just east of Carlton, is known for its 200-foot swinging bridge over the St. Louis River. The park was closed for four months after a flood in June. This entry was posted in Minnesota and tagged Carlton, Carlton County, Cloquet, Frank Lloyd Wright, Jay Cooke State Park, Jessica Lange, Kettle River, Ma and Pa Kettle, Moose Lake, R.W. Lindholm Service Station, Wrong Days in Wright. oh I thought King Kong was from Carlton county. thanks for clearing that up.